to know, especially on the putting green. Because a golf ball is round and the surface of the green closely mown, there is every likelihood that your ball could move. It is important for you to know how to deal with this situation. There is always some slope on a green so it is unlikely that your ball will come to rest on a perfectly level spot. The surface area of a golf ball is about nine square inches and has a varying number of dimples - 300 to 450 on average. A dimple represents less than 0.3% of the ball's surface area depending on its size and shape. On a sheet of glass your ball will rest on a single dimple. What this all means is that for your ball to move on the putting green is easier than you think; especially if the surface has been closely mown, your ball is on a slight slope, and the wind is blowing. Fortunately the circle of contact that your ball has on the putting green is larger than one dimple as it sits down a little in the grass. On a soft green with more grass to support its weight, the circle of contact could be around four to five per cent of the ball's surface area. The definition in the Rules of Golf states that a ball is deemed to have moved if it leaves its position and comes to rest in another place. Sometimes when you come to replace your ball after marking it, it rolls forward ever so slightly down the slope. The temptation is to replace your ball and press it lightly into the ground to make it remain at rest. However, there is nothing in the Rules that permits you to do so. Instead you are required to find the nearest spot, no closer to the hole, where your ball can be placed without rolling away. A Ball at Rest Moving only becomes an issue after you have addressed your putt; in other words grounded your putter immediately in front of or immediately behind your ball, whether or not you have taken your stance. Prior to addressing the ball, if the ball moves to another place, even though your marker is still in place behind your ball, you must play from the new location. If you replace your ball, you will have subsequently have played from a wrong place and you will incur a two stroke penalty. You need to be careful when you take a practice stroke close to your ball. 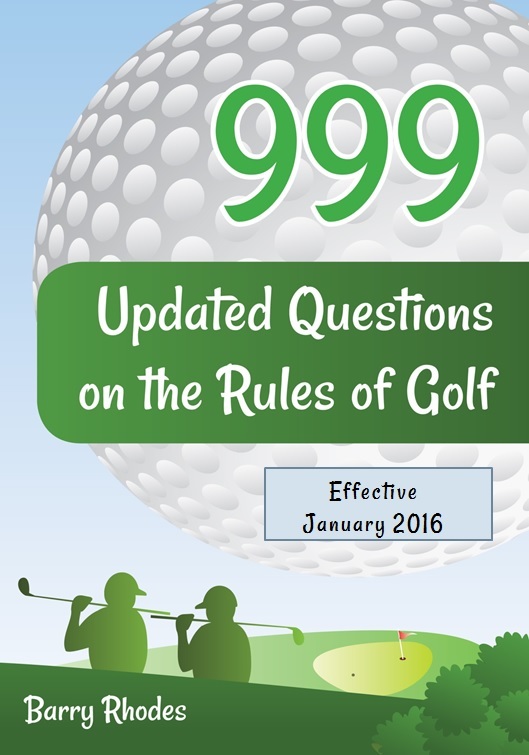 If you accidentally move your ball, you will incur a penalty of one stroke and you must replace your ball. If your ball moves of its own accord during your practice stroke, you could still incur a penalty. You will be deemed to have contributed to its movement, unless it is known or virtually certain that you did not cause the ball to move. Playing by the Rules is part of Golf and Rule 18 – Ball at Rest Moved takes on an added significance on the putting green.